We remain the largest sponsor of the Sharks Academy as our partnership now enters its fifth year. 50 rugby and soccer bursaries which also included a tertiary education were awarded to talented youth from previously disadvantaged communities since 2012. 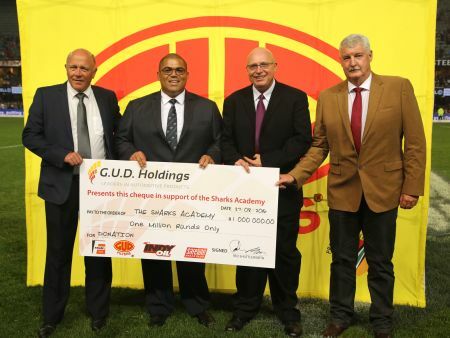 “Being a Durban based company for the past 65 years we are huge supporters of the Sharks and are proud to be associated with the Sharks Academy to uplift the next generation South African sports icons.” says Red Shuttleworth, CEO, G.U.D. Holdings. *Safeline Brake Pads is a division of G.U.D. Holdings (Pty) Ltd.